Microsolder is a trade company established in 1994. We have met many-many industrial problems in electronics industries what we serve. Our main field is printed circuit board assembly and soldering. As a soldering expert we have been providing different level of soldering trainings since 1998. We have recognized that process engineers, quality engineers have often problems to evaluate the process results, to decide if the assembly is acceptable, how to rework it providing reliable product, an so on. That is why we started with IPC standard training courses in 2006. 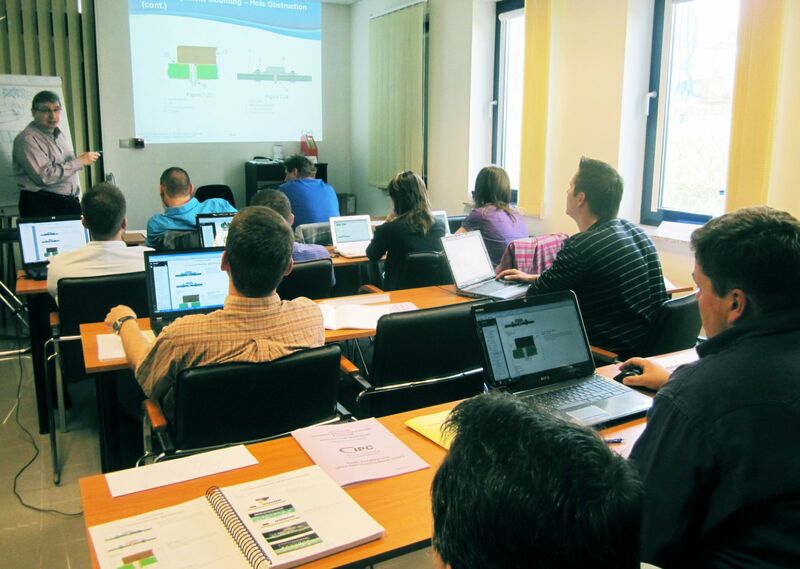 All of the courses are available at our training room or on site of the customers in Hungarian or in English. We also use our wide process experience in these trainings. The IPC standards cover the whole production chain from design a PCB up to completed assembly. The standards are also available from us. Beside Hungary we are ready to hold training courses abroad. We had several courses in Serbia, Macedonia, Slovenia, Ukraine, but a few also in Romania, Bulgaria, Czech, Poland, Slovakia. Some Hungarian engineers working in Germany, Austria or UK attend Hungarian language IPC courses in Hungary. Microsolder one of the more than 120 licensed IPC training centers in the world. We have master trainers (MIT) to train IPC-A-610, A-620, and 7711/7721 trainers (CIT) for our customers. Training centers provide the level 1 support to the certified trainers. Apart from trainer training courses we offer wide range of IPC specialist (CIS) training courses like IPC-A-610, A-620, A-600, 6012, 7711/7721, and J-STD-001. To improve the level of knowledge certified by IPC, and increase security of exams, and make easier and faster the administration IPC entered Certification Quality Initiative (CQI) Embraces Technology in 2015. The main differences in certification process is that the all training and certification process followed and administered online, including exams and issued certification. Due to these changes the value and reputation of IPC certifications have benn increased. Several changes have been made in IPC training and certification policies and procedures. The latest version can be downloaded in IPC website. IPC and Microsolder have made a new distributor agreement providing updated requirements and possibilities for both parties. Microsolder can serve IPC members at member prices, and also interested in selling IPC membership from now. IPC and Microsolder renewed IPC training and certification center license agreeing in use of CQI systems among the others. Trainings providing internationally recognized IPC certifications are available in English and Hungarian. IPC-A-610, IPC/WHMA-A-620 and IPC-7711/7721 CIT or CIS, IPC-A-600, IPC-6012 and IPC-J-STD-001 CIS trainings organized regularly at Microsolder training room or can be arranged at customers site. 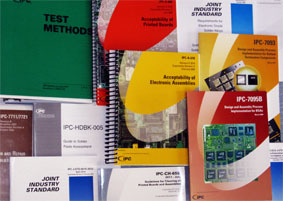 All IPC standards and publications can be bought at Microsolder. The most popular ones are available in stock. Please, be informed on the new releases. Do not miss them.